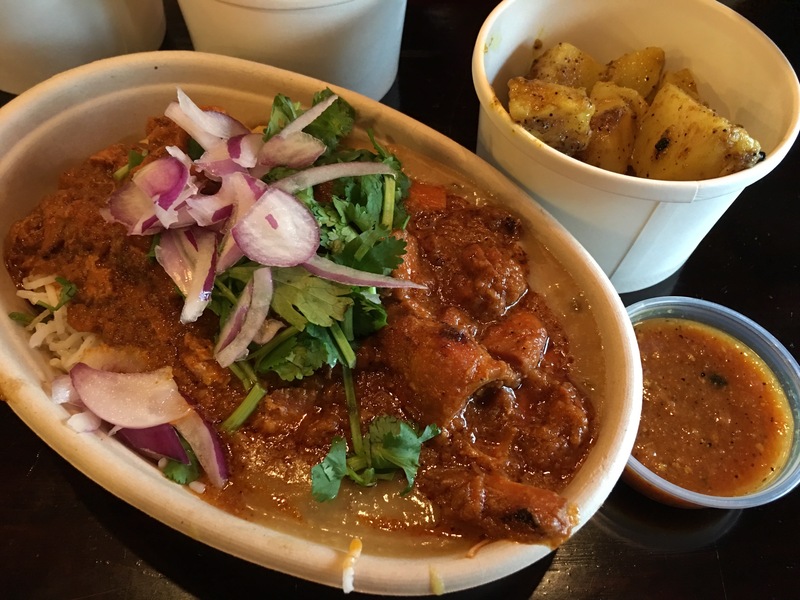 Bridges Nepali Cuisine – Go There. Try That. 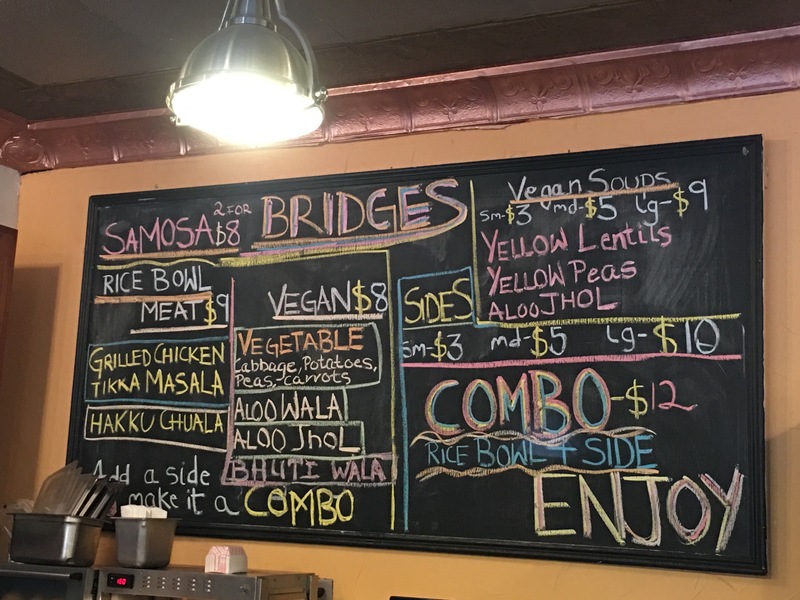 Bridges, a family restaurant in Northside, serves up some serious Nepalese food. Now, don’t ask me what Nepalese food is exactly because I’m not sure. I know geographically that Nepal is just above India. I know Indian food is my fave. I know that while some of the flavors and textures of the two cuisines are similar, they are not the same. I now know that I enjoy food from Nepal just as much as I enjoy Indian food. In Melt’s former location, Bridges resides on Hamilton Avenue in the heart of Northside. The menu is simple but fresh and delicious. Because I sometimes get overwhelmed by too many options on a menu, I appreciate this simplicity. Come on foodies, you know what I mean. How do you decide what to get when there really isn’t anything on the menu you won’t eat?! If you’re like me, you beg your dinner companions to order everything else so you can share. Whatever you order at Bridges, no two dishes taste the same. No two flavors are the same. Reminiscent of a fast-casual dining experience, Bridges offers only a few appetizer, side, and entree options. However, those options are done so well that no other choices are needed. As I mentioned earlier, Bridges is a family restaurant serving up family recipes. The food is warm and inviting, without being heavy. For example, I had grilled chicken tikka masala and it was lighter, with less cream than other masala dishes I’ve had. In addition to the grilled chicken tikka masala, we had hakku chuala, vegetable slaw, and curried potato salad. 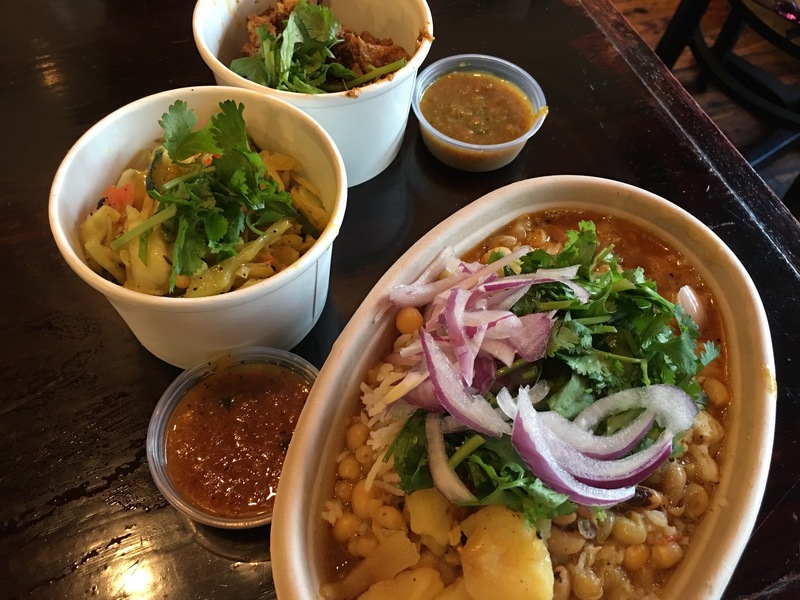 Bowls can be layered with rice, lentils, yellow peas, cilantro, and onion. Each dish is served with two salsas: one spicy, one sweet. I️ could drink that spicy salsa! Our takeaway? Each and every bite is created with the perfect blend of spices. Each and every ingredient has a purpose. The environment of Bridges is relaxed, casual, clean, and affordable. Don’t worry about the limited tables in the front, there are tables in the back plus a patio outside for warmer weather. While the bowls are filling, don’t skip the sides or the samosas! 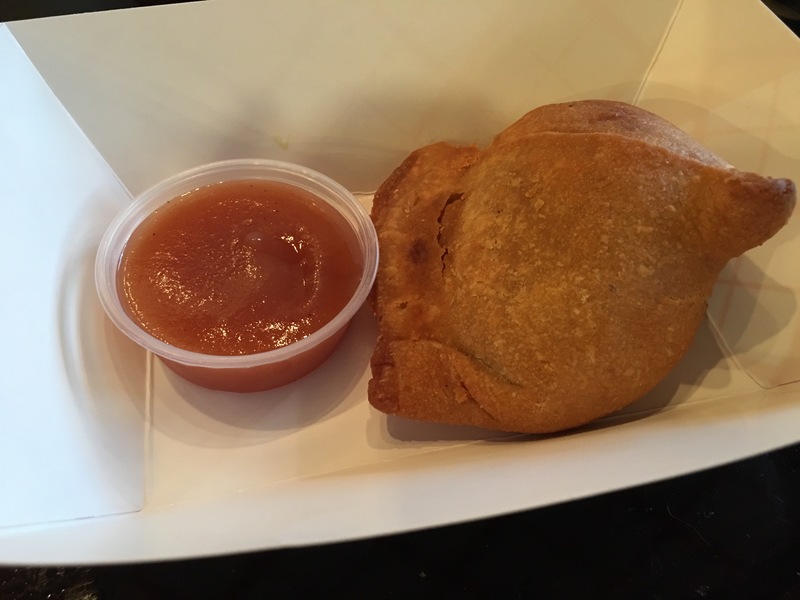 I’m not typically a samosa fan, but I had a chicken and rice samosa that changed my mind! Bridges motto is connecting people with food. Now that’s a motto I can get behind! Does anyone want to connect with me soon? At Bridges? P.S.- There are vegan and vegetarian options! GO THERE (Connecting Bridges Nepali Cuisine)! TRY THAT (pretty much every single dish, but especially the rice bowls)! I’ll grab food with you there anytime! I’ve only been once but have been meaning to go back! Delicious! And super friendly staff. Interesting fact: they were set up at the Mt. Washington Pumpkin Chuck last Saturday! So be sure to be on the lookout for them! Good to know! And let’s plan a date!